The Cascais coast. 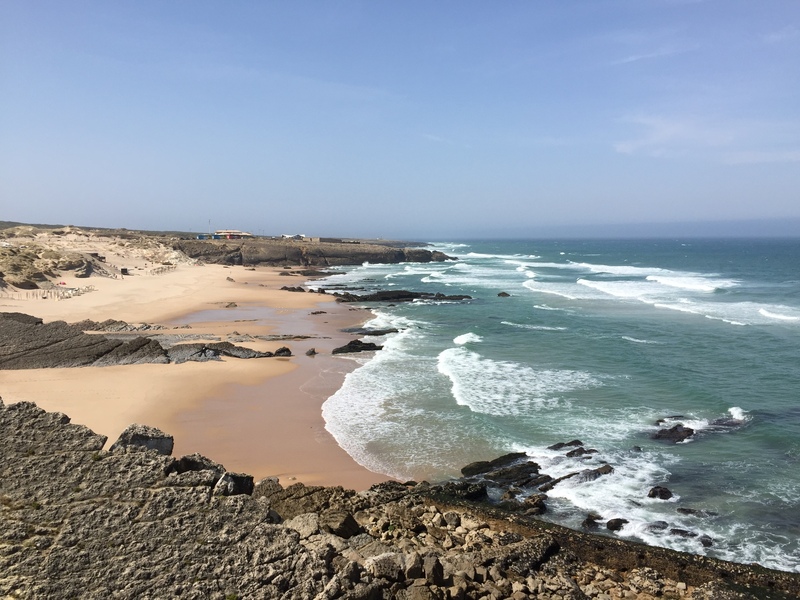 For the first part of the holiday we stayed at the beautiful 5 star Fortaleza do Guincho, with a breathtaking view across the Atlantic from the bedroom window. 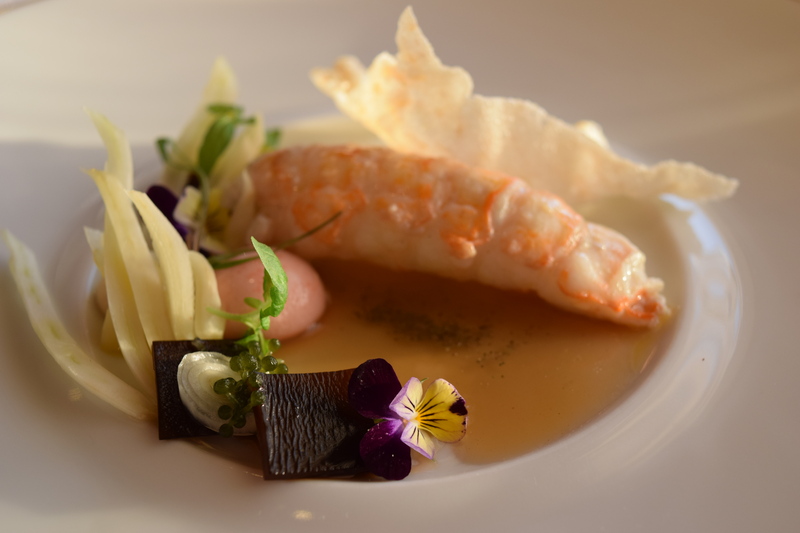 The Michelin star restaurant at our hotel also came with a sea view, although my eyes were firmly on the beautiful dishes in front of me – including this huge langoustine to start. 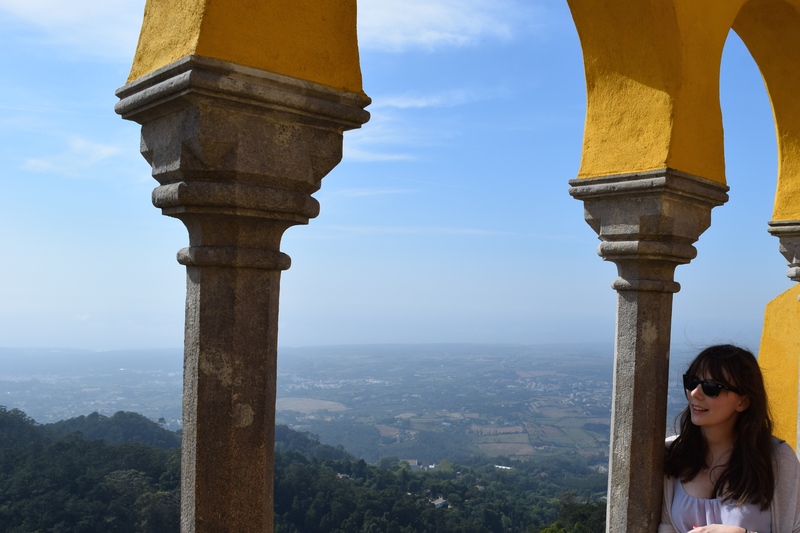 Montserrate Palace, Sintra. 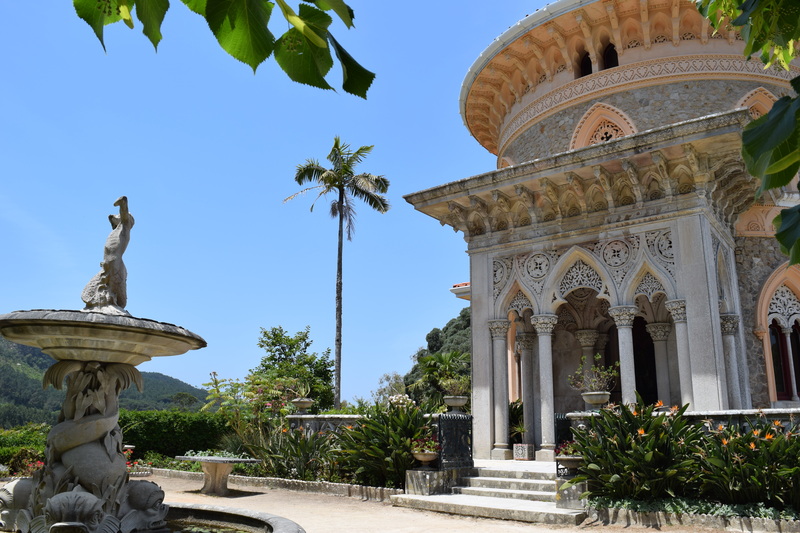 Designed in the mid 19th century, the gardens and exotic villa are a calm, cool escape from the bustling town below. 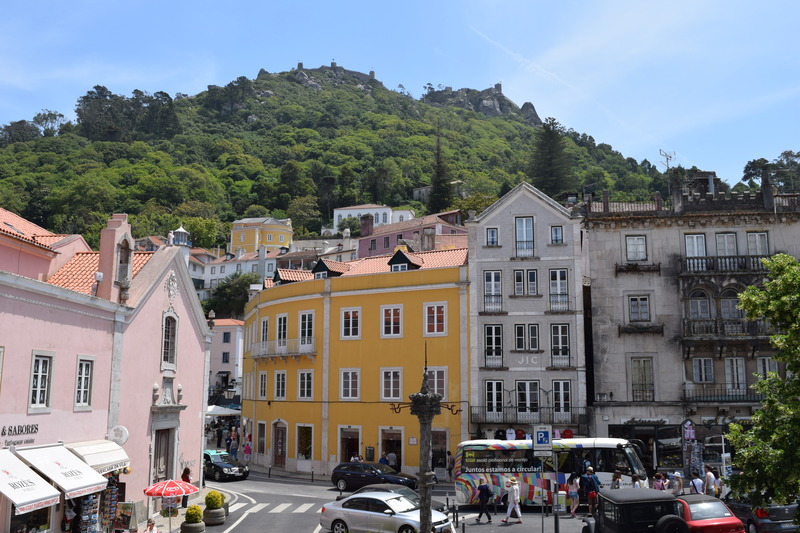 Sintra itself is equally charming, with plenty of cobbled streets to wander through, or grab an ice cream from Gelati di Chef and people watch for a while. 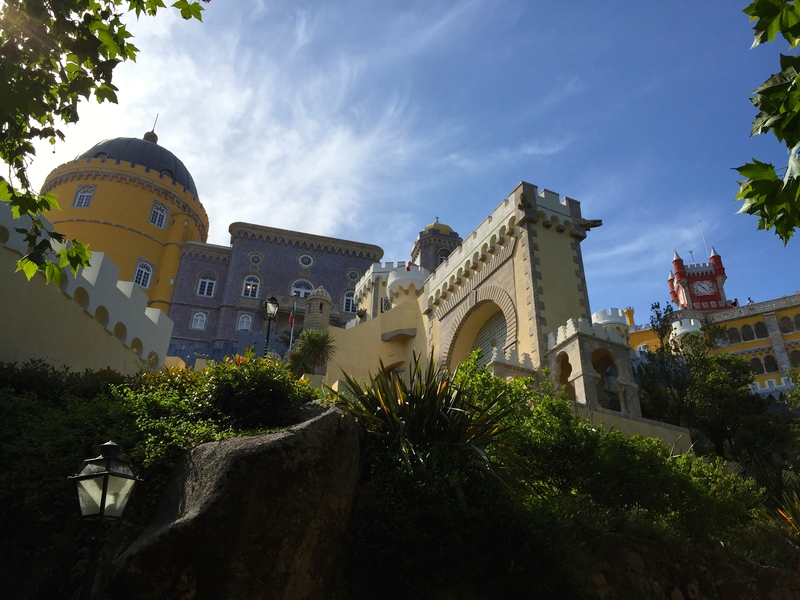 Pena National Palace, Sintra. The climb to the top is worth the effort, the views from the terrace are as captivating as the palace itself. Jeronimos Monastery, Lisbon. 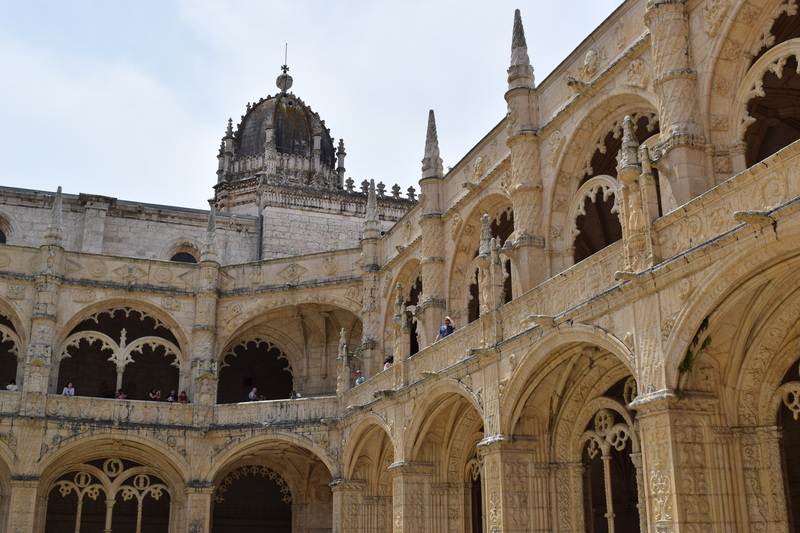 Built in the 15th century, this pretty building dominates the skyline as you enter Lisbon’s Belem district. It’s also the birthplace of the mouthwatering ‘pastel de nata’ – a kind of custard tart that I’m determined to master (recipe to follow if I succeed!). 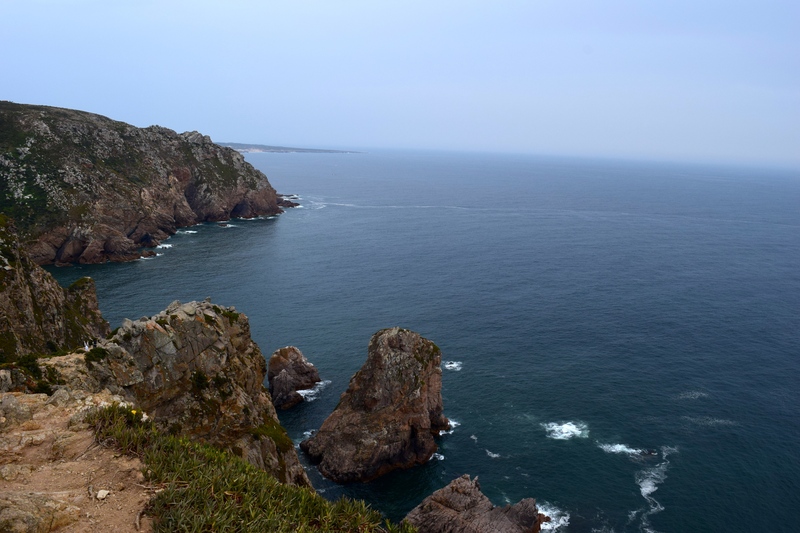 Cabo da Roca. The most western point in mainland Europe offers amazing views, although some of the coastal paths are best avoided if you’re afraid of heights! 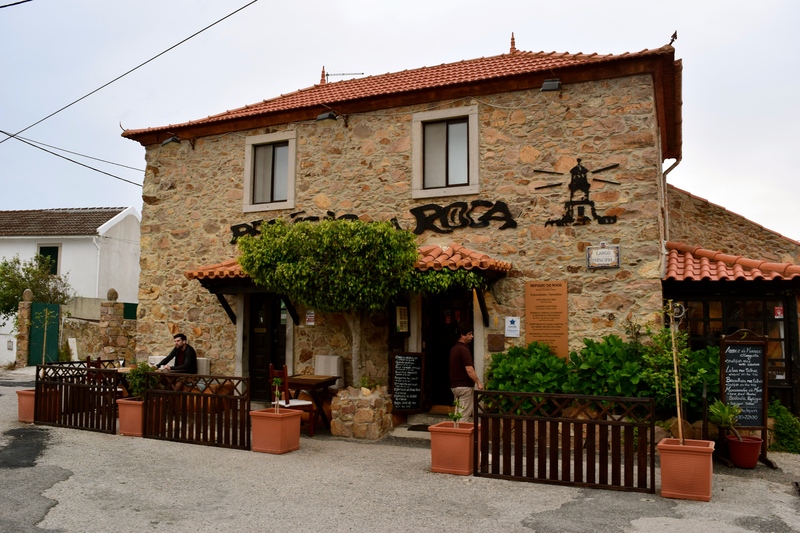 Refugio da Roca. 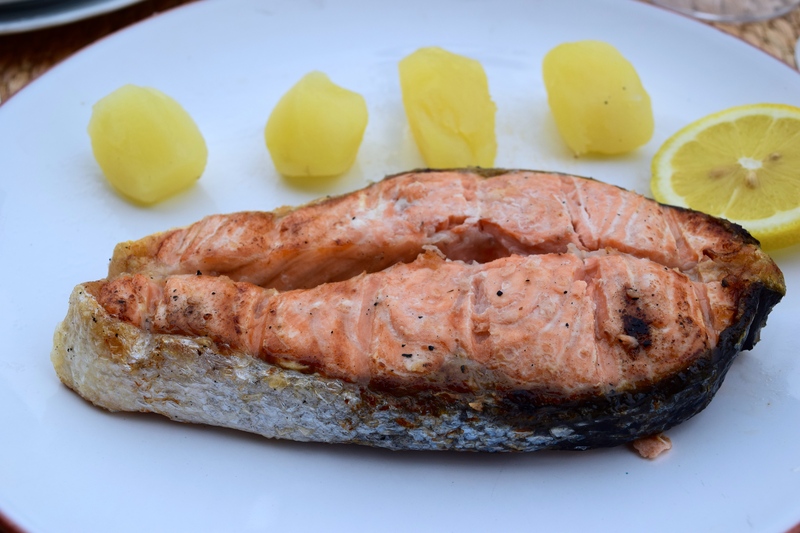 En route back from Cabo da Roca, this restaurant was a welcome pitstop and offered generous, delicious seafood like this fresh salmon fillet served with simple boiled potatoes. Azeitao cheese. 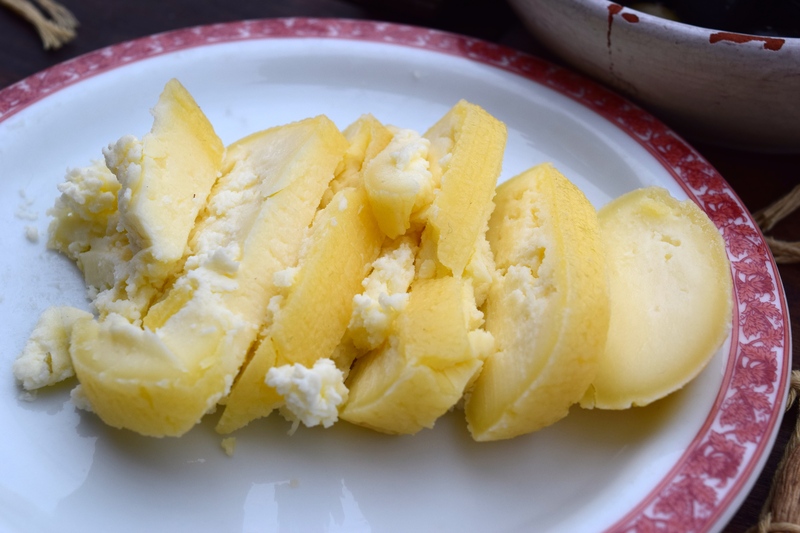 Made with sheep’s milk, this tangy, runny cheese is served with bread in most Portuguese cafes and restaurants and is perfect for dunking. Praia do Camilo, Algarve. 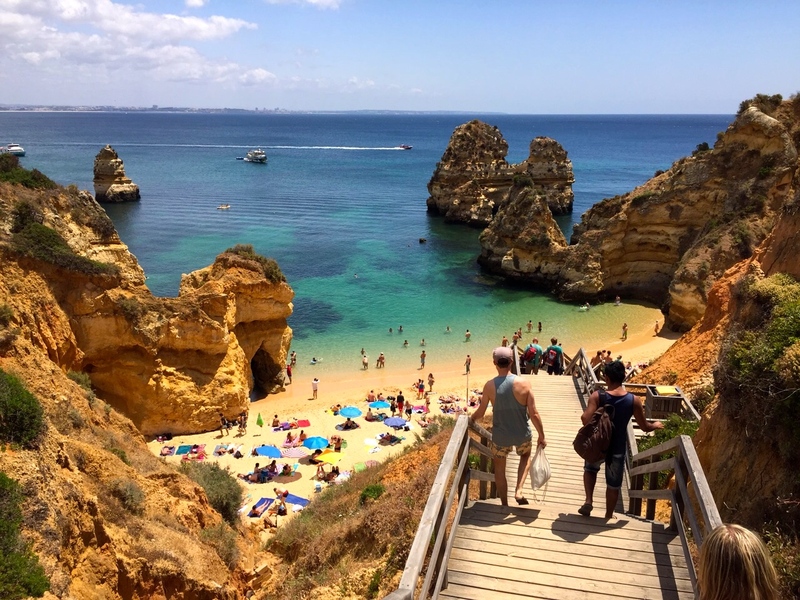 This beautiful beach is small but perfectly formed – it was quite crowded, but that’s no surprise when you see the clear turquoise waters and smooth golden sand of this little haven. 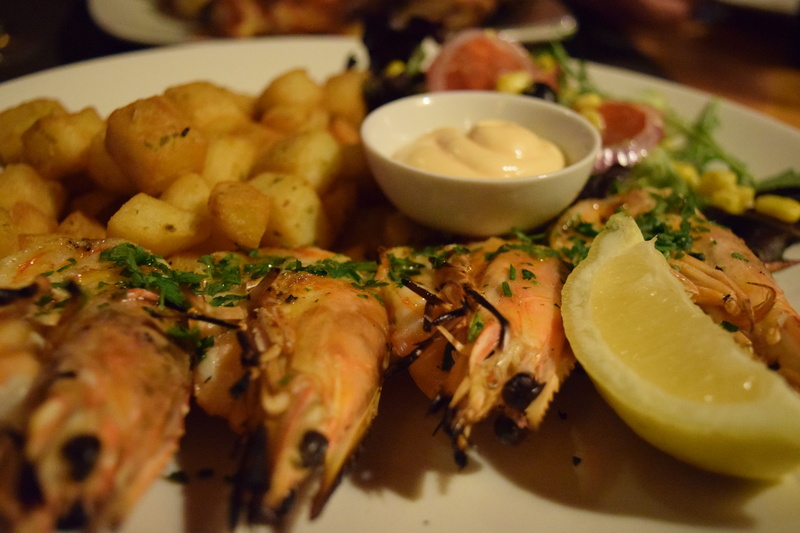 Seafood at Beach Bar Burgau, Algarve. 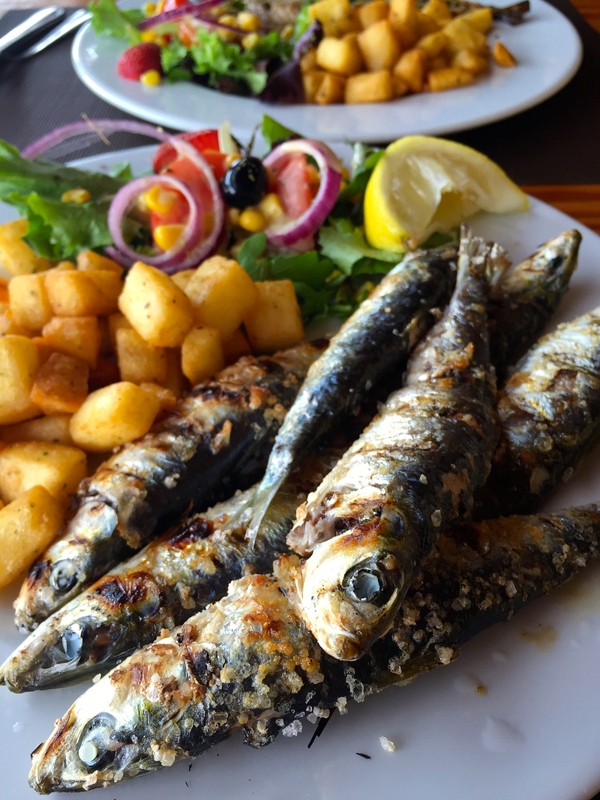 The grilled prawns at this beachfront bar and restaurant were so stunning we went back for them twice and the huge sardines were the tastiest I’ve ever had. Glad you liked it. If my pastry attempts go well I’ll send some samples your way!